Top quality Lite & Tough Dove Grey Nitrile 9.5″ gloves. Prop 65 compliant and approved, FDA approved (510K), great tactile sensitivity. 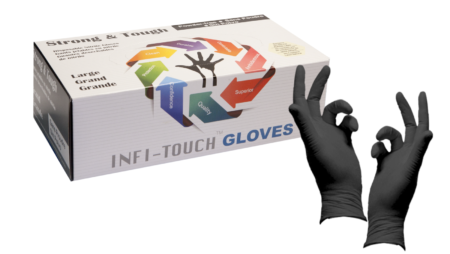 Top quality Clean & Tough Powder Free 9.5″ Infi-Touch gloves at bulk wholesale factory direct pricing. Uses: Tattoo, C&C Manufacturing, Optical Industries, Dental Hygiene. It may seem counterintuitive, but one of the best investments you can make in your business is something that your employees will wind up throwing away several times per day: disposable gloves in bulk. Bulknitrilegloves.com offers the highest-quality and most affordable bulk disposable gloves for every type of professional. We understand that infection control and employee safety is paramount to your organization’s success, whether you’re in the medical industry, food service, automotive repair, manufacturing, home maintenance or anything else. Offering the best products and most affordable prices, bulknitrilegloves.com is ready to act as your trusted and reliable wholesale disposable gloves resource. Call us today at 877-898-2057. 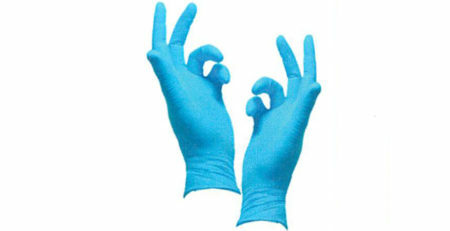 Bulknitrilegloves.com is committed to demonstrating the quality and durability of our disposable gloves. Call our friendly and knowledgeable representatives today at 877-898- 2057 to place your order. We very much look forward to hearing from you.